Includes a bike and helmet! 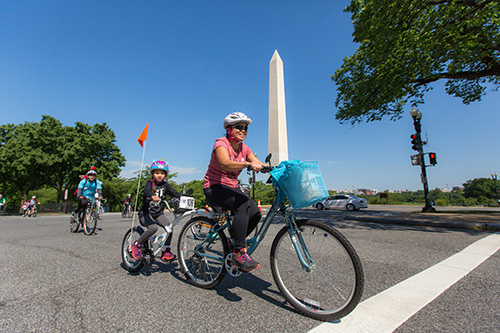 Join the DCBR Scavenger Hunt! This new adventure allows you to explore your favorite ride while solving clues along the course and at the Finish Festival! The DCBR Scavenger Hunt will be played through an app which will list all challenges and instructions on how to complete them. 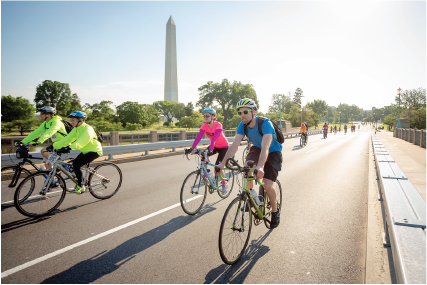 Each challenge gets your team points, and the DCBR Scavenger Hunt crew with the highest score will take home the ULTIMATE PRIZE. 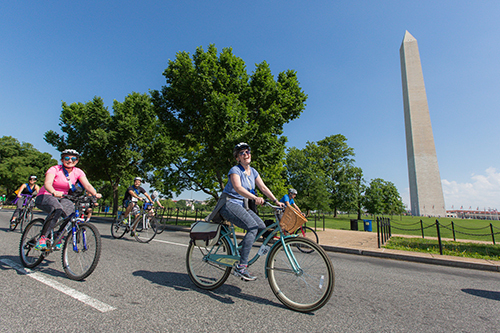 Each DCBR Scavenger Hunt ticket guarantees the participation of a 4-member team. 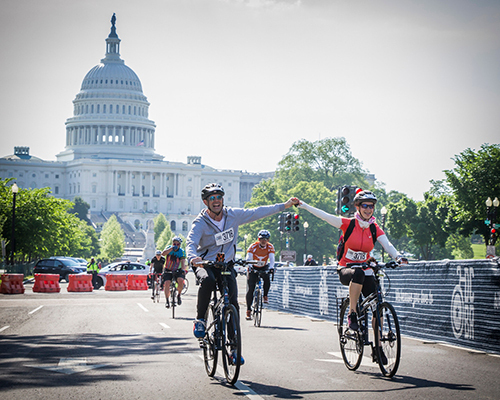 All team members must sign up for the DC Bike Ride as many of the challenges will take place on the course. 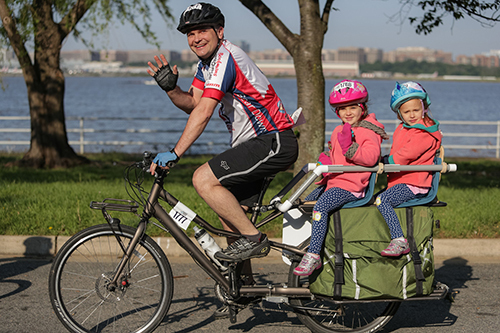 Unless you purchase packet mailing as your shipping method, you must attend packet pickup on Thursday, May 16 and Friday, May 17. 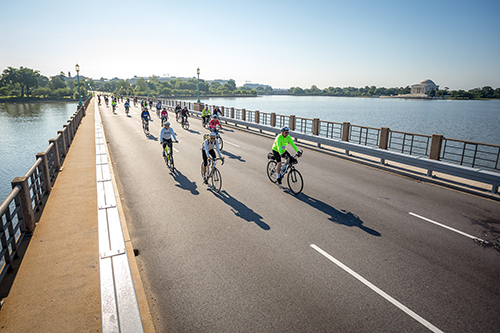 These terms and conditions are a binding contract between yourself and CSV LLC dba DC Bike Ride. AGREEMENT OF THESE TERMS IS EQUIVALENT TO A DIGITAL SIGNATURE ON A CONTRACT. ALL SALES ARE FINAL. CANCELLATION OF AN ORDER IS NOT PERMITTED AFTER THE ORDER IS PROCESSED. THERE ARE NO REFUNDS. 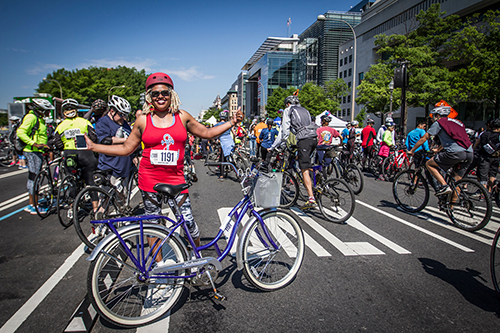 If you encounter any issues at the event, you must contact DC Bike Ride within 5 business days following the originally scheduled date via a trouble ticket inquiry at in order to request a refund and failure to do so will waive your right to a refund. Not all refund requests will be honored. YOU CAN NOT EXCHANGE ITEMS OF YOUR ORDER PURCHASED FOR OTHER ITEMS FROM THE WEBSITE. YOU CAN NOT EXCHANGE ITEMS OF YOUR ORDER PURCHASED FOR MONEY TO USE AS CREDIT ON THE WEBSITE. REGARDLESS OF SITUATIONS SUCH AS INCLEMENT WEATHER, NATURAL DISASTERS, EXTENDED WAITS IN LINE AT THE VENUE, FAMILY EMERGENCIES AND MEDICAL EMERGENCIES A REFUND WILL NOT BE ISSUED. All Event personnel have the right to refuse entry to any ticket holder, without a refund, for any reason at their discretion. Venue and Talent are subject to change without notice and are not grounds for a refund. Anything promised by the promoter that is unfulfilled is not guaranteed by CSV LLC and is not grounds for a refund. 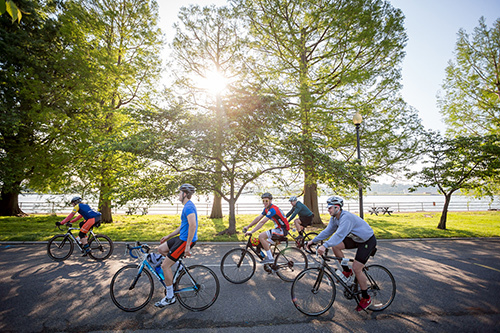 CSV LLC dba DC Bike Ride does not assume liability for damages as a result to the use of any service, product or any material found within this web site. This may include but is not limited to the use of the website system, any content or demonstrations accessed via this web site or any other site to which the web site may be linked to. We reserve the right to modify any material within this web site including but not limited to: product/ and service descriptions at any time without notice. The information posted is believed to be accurate and reliable at the time it was posted. We do not take responsibility for its use, nor for any infringements of rights and or patents of any third parties resulting from the use of the website. Links from third party websites from this site are provided solely as a convenience. There are no refunds. If your event is postponed, we will contact you with the new date and time. All Event personnel have the right to refuse entry to any ticket holder for any reason at their discretion. Venue and Talent are subject to change without notice and are not grounds for a refund. Anything promised by the promoter that is unfulfilled is not guaranteed by the seller and is not grounds for a refund.